At the moment forum posts can only be edited for a short time span, after a few minutes editing your own posts will not be possible anymore. This might be changed in a future forum update. So if you’re allergic against your own misspellings, please double check before you hit the submit button. Users who frequently visit forums and participate in discussions know how quickly a forum discussion can get ugly, including personal warfare, insults and bullying of individual forum members. We don’t want any of that to happen on Falcontinuum, so please refrain from any kind of socially incompetent behavior and try to act as if you were discussing things with real people face to face. If you have to use swear words, then do, but don’t direct them at any other forum member and keep it calm. Posts that contain any kind of personal warfare, insults or bullying will be removed by the moderators asap. If a member continuously breaks these simple rules, she/he will be banned for good, no second chances. Promoting or linking to warez, illegal or offensive material will result in an immediate ban. Topics not related to Falcon should be posted in the respective forum section; any kind of political or religious topics not related to music, software or hardware will be deleted. Posting announcements for commercial Falcon soundware should be done in the soundware-section, but you may post individual audio or video demos for these products in forum topics if they are related to the discussion. Other commercial soundware announcements are not allowed and will be deleted. contact one of the site admins first via the PM function (personal message) in order to obtain the status of a Falconer. You will then be able to create new articles and upload files to the media bay. Please use the english language only, if you need some help because english might not be our native language, please contact an admin. 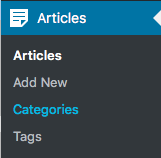 Please categorize and tag your articles so that other users will be able to find them when looking for a specific topic. Choose categories and tags from the existing pool, if you feel something is missing, please contact an admin. Commenting on articles has been disabled, so if forum visitors want to discuss certain topics mentioned in the articles they can create a new forum topic in the General Discussion forum. Personal messages (PMs) are a helpful tool for backstage communication between forum members. If you intend to use this feature, please activate bbPress Messages in your forum profile -> Contact Info. To contact another user via PM, simply click on her/his username -> Send PM. Falcon has a large GUI with a mass of small detail that is involved in editing your patches. Screenshots of the GUI are found in our Knowledge Base and Forums. If you click on them they will pop up into a lightbox display. This may be closed with the icon in the bottom right corner. They may still appear small in your browser however, so you can enlarge them to their full capture size with the icon in the top right corner, though this may exceed the viewport of your browser. In this case, you will have to scroll to see the full image, and the controls will have disappeared off screen. Scroll to the icon in the top right to reduce the lightbox size and to the icon in the bottom right to close the lightbox. It may appear confusing at first, but it is the best way we have found to display the detail of the Falcon interface on various screen sizes. 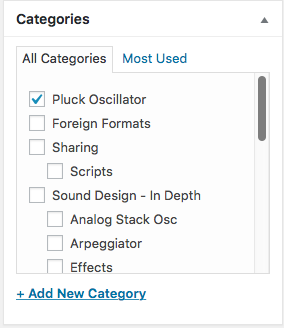 /publish articles in the soundware-section. Please only advertise soundware for Falcon, all other articles will be deleted. Authors should categorize and tag their articles so that they appear on the appropriate page of this website. As commenting on articles is not possible, soundware products might be discussed in the General Discussion-forum. Soundware vendors should refrain from creating forum topics for their products, that’s what the articles are for.